Study Group partners with the University of Waikato, one of New Zealand’s prestigious universities. 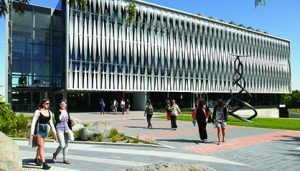 In a nutshell, the University of Waikato is ranked 274th in the world, among the world’s top 1.1% of universities according to the 2019 QS World University Rankings. Waikato is also rated between 351st and 400th in the world and 4th in New Zealand by the Times Higher Education World University Rankings 2018. This University aims to provide world-class quality education and research, bringing about a fulfilling and distinctive experience, and forging strong international links. 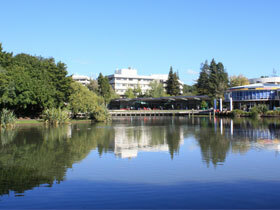 Waikato Pathway College is located in Hamilton, New Zealand’s fourth largest city, with a vibrant multicultural community and a feel of nature. New Zealand’s largest city, Auckland is just a short distance away. This partnership is an expansion of Study Group’s New Zealand higher education pathway model. This means that students will now have more programme choices, progression options and study locations around the country. New Zealand offers a high quality, globally respected higher education that is affordable and safe. On top of that, there are opportunities to obtain a work visa after graduation. Study Group will use its expertise in global education marketing and recruitment to grow and support the diverse international student community at Waikato Pathway College, starting in October 2018.